The US has put on hold its discussions with Sri Lanka on its potential participation in an American aid initiative on poverty reduction due to the disruption in the country’s democratic process following the ouster of Prime Minister Ranil Wickremesinghe, a senior official has said. Sri Lanka plunged into a political crisis after President Maithripala Sirisena dismissed Wickremesinghe and replaced him with former strongman Mahinda Rajapaksa. 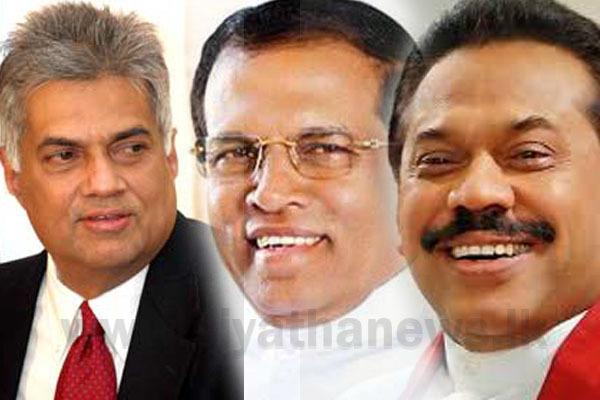 Rajapaksa has failed to muster support of the majority in the Parliament. “Because of this disruption to Sri Lanka’s democratic process, we have put on hold discussions about Sri Lanka’s potential participation in Millennium Challenge Corporation (MCC) programmes,” the senior Trump administration official told PTI when asked about the relationship with Colombo and the Trump Administration. The latest move by the Trump Administration could be seen as a setback for Sri Lanka, which was expecting a major investment from the US in the island nations transport and land sectors. The proposed MCC Sri Lanka Compact was designed to spur economic growth and investment by the private sector to reduce poverty and increase economic opportunities for its people, according to MCC Chief Operating Officer Jonathan Nash who visited Sri Lanka in September this year for talks with Sri Lankan authorities. The United States believes that the steps taken by President Sirisena were unconstitutional and wants the country to get back to its democratic process at the earliest. Just before Sirisena dismissed the Wickremesinghe government, Sri Lanka and the US were in the final stage of the discussions. The MCC was to fund the compact entirely through grants which do not need to be repaid rather than loans. Discussions on the MCC would now resume only after the constitutional crisis in Sri Lanka is restored through democratic means. “We are concerned about the extra constitutional steps that President Sirisena has taken,” the senior administration official told PTI. “The longer the situation continues, the greater the risk of ethnic turmoil and violence,” warned the official. How to write a exploration paper with the custom format?